The N.G. De Bruijn Prize is awarded to mathematician Dion Gijswijt for a paper he wrote based on the card game Set. In collaboration with Prof. Kees Vuik (DIAM), researchers from Wageningen University & Research, Animal Breeding and Genomics (WUR-ABG) have recently implemented an efficient algorithm called the deflated preconditioned conjugate gradient method. As our society becomes increasingly interconnected, the vulnerability to abuse of digital technology grows. To improve our understanding of the nature of the cyber threat to national security and of the technical, organisational and institutional means to address it responsibly, the Dutch General Intelligence and Security Service (AIVD) and Delft University of Technology (TU Delft) initiate a collaborative research programme. 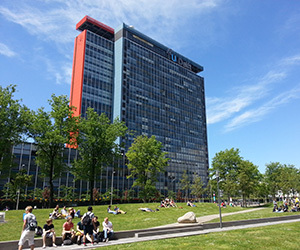 TU Delft and ING are joining their knowledge and expertise on Artificial Intelligence (AI) in the financial sector in the AI for FinTech Lab (AFL). 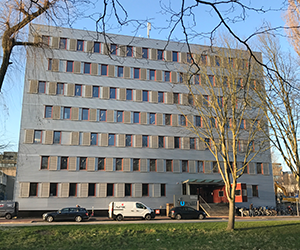 Researchers from BK Bouwkunde and the Faculty of Electrical Engineering, Mathematics & Computer Science at TU Delft have formed a partnership to connect Humanities and Computer Sciences. They will combine their interdisciplinary skills to connect long-term historical knowledge with cutting edge computer vision, geospatial technology, and crowd sourcing technology. He will be receiving the award for his research into the accurate, detailed depiction of visualisations using modern graphics hardware. Students Buster Bernstein and Jasper Geurtz have delivered a unique achievement: their paper has been accepted for the next AAMAS. TU Delft, Shell and various Top Consortia for Knowledge and Innovation (TKIs) are investing 5 million euros in the development of electro-conversion technology to make the petrochemical industry more sustainable.